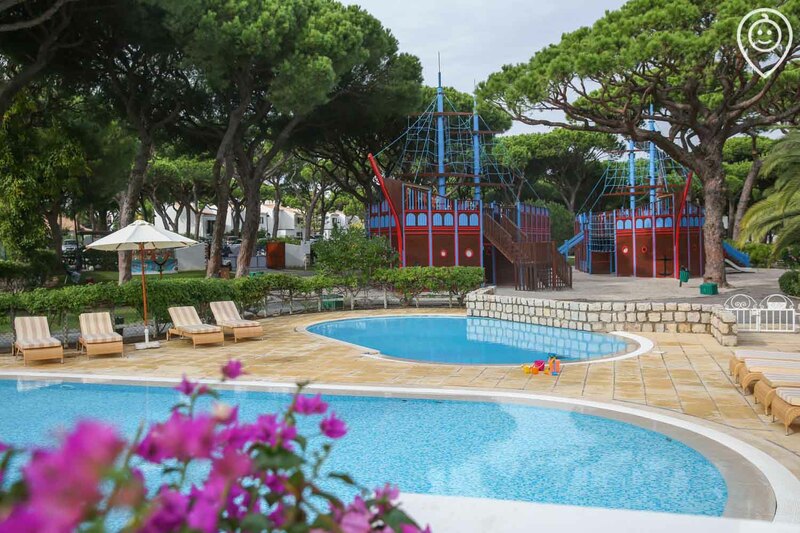 A children’s paradise, Pine Cliffs Resort really has it all; not only can families enjoy plenty of sun, sea and sand, but also the gigantic children’s village, stunning accommodation and plenty of parent-friendly activities. Set within extensive manicured grounds, there is never-ending space to explore and have fun in. Book with TOTS and get our Essential Kit Guarantee - an extensive kit for Under 5s. Second time booking with Tots at this property - we loved it, perhaps even more than the first time as we could relax more knowing where everything is etc. A truly luxurious few days in the sun and paradise for the children. Only issue is the pools aren’t heated so a bit cool this time of year. The Tots essential kit was a great help in the apartment. Amazing property, totally relaxed holiday. Only downside is food - times quite restricted and there are no casual options available - everywhere is expensive. We had an absolutely fantastic time at Pine Cliffs. Beautiful resort, lovely food, great kids activities, fabulous accommodation. The Tots kit was great and saved us a lot of packing hassle. Thank you! Amazing resort that we can’t wait to return to! 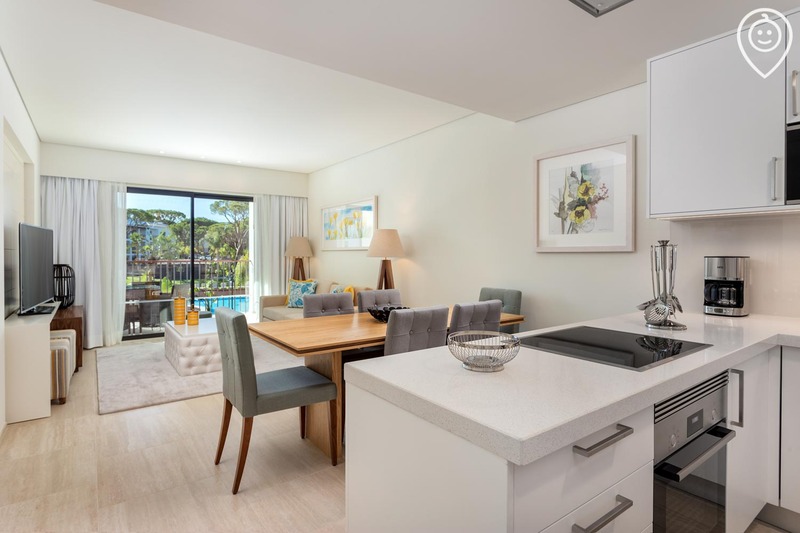 It’s not often you find a self catering apartment that is well equipped (even had a tumble dryer) Within a hotel resort, you get benefits of the five star facilities and restaurants and your own space. Restaurants on site are very expensive, but as you would expect for this type of property but if you want to take the stress away then this is the perfect solution. A robe and slippers in your apartment plus a buffet breakfast in the restaurant - every mum’s dream no?! Only downside is the resort is enormous so if you had a car if would make life easier, we didn’t and actually waiting for the hotel shuttle was fine most of the time. The beach is amazing and the fact there is a restaurant and toilets/showers there made life much easier. Pine Cliffs has a superb playground which our children loved it they ever got bored of the pool / beach. The restaurants and supermarket across from the resort we’re great. From making the booking with Tots to Travel, they couldn't have been more helpful advising on transfers, meal options and even packing advice. Once at the resort, it couldn't have been easier with toys, books and all of the home from home comforts to make travelling with a 4 year old and 7 month old as easy as possible. The resort managed the perfect balance of luxury while being incredibly warm, welcoming and accommodating to children. You could try a new pool each day and the little touches like vegetable purée being available on the menu for weaning babies to them being welcome to watch the sunset in the champagne bar. Superb holiday from start to finish. The accommodation was excellent as were the the resort grounds and facilities. The staff were welcoming and helpful. We had an amazing holiday with our 19 month old and 4 month old babies. We loved all the activities available from the children's playground, heated swimming pool, beach, bikes, train, and game room. 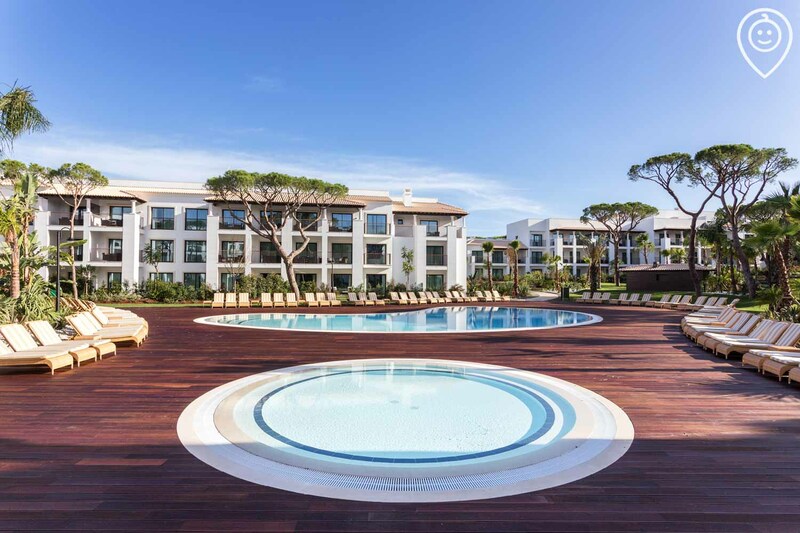 We also loved the convenience of the resort facilities like spa and dining options, whilst also having the comfort and convenience of our apartment residences where we could relax on the sunny balcony while the kids napped. This was a perfect holiday! Resort was amazing, pool, restaurant, kids club all a short walk from apartment. Excellent service from all staff. We had a lovely week at Pine Cliffs. The apartment was very well equipped and gave us everything we needed. The resort is spotlessly clean and we could not find any fault with anything. The whole experience was wonderful and we would have no problem recommending this resort. We stayed in a two bedroom residence suite and it was exceptional. Very clean and perfect in every way. The staff throughout the resort were very professional and helpful. Particularly the reception staff at the residence and those in the O Grill restaurant. The resort is spotlessly clean and we could not find any fault with anything. Maid service every day and again the maids were very helpful. The whole experience was wonderful and we would have no problem recommending this resort. We had a great time - The 2 bedroom Ocean Suite was spacious, clean and modern and gave plenty of space for us, our 4 year old and 1 year old. The toys from Tots to Travel were amazing and the children loves playing with the new things! The resort is big enough to give you variety every day and we felt very relaxed! Pine Cliffs is a lovely family resort. Our apartment was so clean and lovely and all the staff are amazing. Food was a touch expensive but we also tried a couple of places just outside which were also nice and more reasonable. I wish they would heat the pools though. One is climatised which makes it just about bearable but all the others are below zero! Also some kids pool equipment like slides would be good. I also wish the restaurants would have opened for dinner earlier. Pine Cliffs is a wonderful child-friendly resort. There are lots of things to do with the children and a safe and friendly atmosphere. The grounds were so well kept and staff were extremely helpful. The only small negative points would be that we were informed that there was a shuttle bus into the nearest town provided by the hotel and this was not the case (we got a local bus instead from just outside the resort). The prices inside the resort for drinks were very expensive and the kids club for under 4's was expensive too. Other than that a great stay with fab facilities for kids and lovely that the spa was included in our room rate. Overall a lovely place that I'd recommend. Perfect! We loved every part it. The location was great, close to the airport, access to sandy beaches and great variety of pools. In the pre-kids era, I've always booked travel independently and had completely different priorities for travel and time away. However, with a young baby and toddler, I knew my knowledge and crucially available research time weren't up to the job, so I decided to try TTT. So glad I did... they were helpful in finding us the right destination, answered our questions helpfully and threw in a few extra tips too. The Pine Cliffs was a great choice for us. A bit of luxury so didn't feel like a compromise for the grown ups! :) But also excellent kids facilities... a huge kids playground with two pirate ships, a bouncy castle, toddler pools, motorised cars, etc etc kept the boys happy. The suite was very well equipped and furnished to a high spec. We also used an excellent in room babysitter so we could enjoy some of the resorts restaurants. If I was to offer suggestions (and I'm really looking for them here... it was a great holiday), it would be for the restaurants to have toddler friendly cutlery. We took a set but it's a pain to wash and take with for every meal. And also, perhaps a few more high chairs would be helpful. On a couple of busy breakfast days, we had to wait a fair while for them to be available which isn't always easy with a couple of hungry boys! We had a formidable family vacation, 5 adults and 1 kid. Everything was nearly perfect, even the weather :-). We had ONE minor problem, at it was solved in a minute. Relaxing despite having a 9 month old. Ocean suite accommodation absolutely amazing and perfect for families. Buffet breakfast good but other restaurants expensive and not up to the standard of the resort. Wonderful stay would recommend for the whole family. Really relaxing and plenty to do for little ones in the resort and around within 35 mins drive.The rooms and dishes were cleaned everyday and were spotless. Thanks for helping us book our relaxing family holiday! Not easy travelling with three under 5 and you have helped us source an amazing resort and provided the essential equipment for a worry free time. Thank you!! Tots Team were super helpful in helping us choose and book our holiday to suit our requirements. 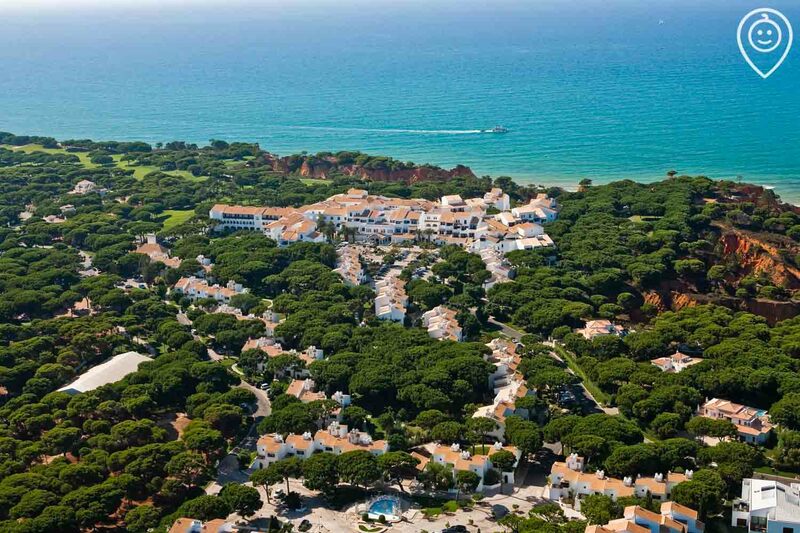 Pine Cliffs is a vast resort in a wonderful location with wonderful apartments. Amazing resort and the ocean suites were absolutely beautiful. 4 kids aged from 9 down to 1 and there was plenty for everyone to do. Hotel breakfast is one of the best we have experienced! Restaurants on site are pricey but very nice food, especially Zest and Piri Piri Steakhouse. Thank you to Totstotravel... having a pristine highchair, cot, plastic cutlery and a box of toys when we got there was amazing! Just returned from a stay in a fabulous three bed apartment in Pine Cliffs Residence. Our family of six had ample space in the height of luxury. Rooms were immaculately clean and well appointed and the beds difficult to leave they were so comfortable! 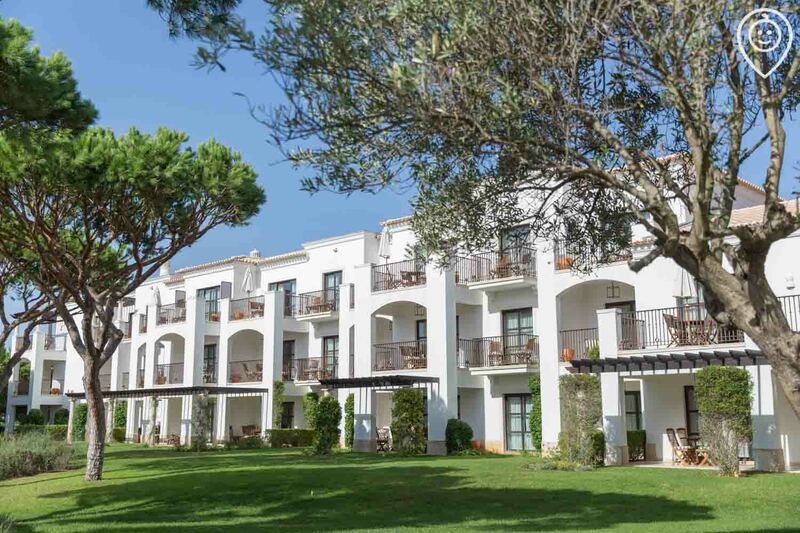 The resort itself is nothing short of stunning, set on a cliff top overlooking a beautiful beach that goes on for miles, within meticulously manicured grounds surrounded by every amenity you could wish for. Staff were all very attentive but a special mention must go to the wonderful Filipe and his staff at the Mirador champagne bar who made us all feel very welcome and the children very special having their nightly "cocktail". Cannot recommend this resort highly enough and will certainly be returning again soon. 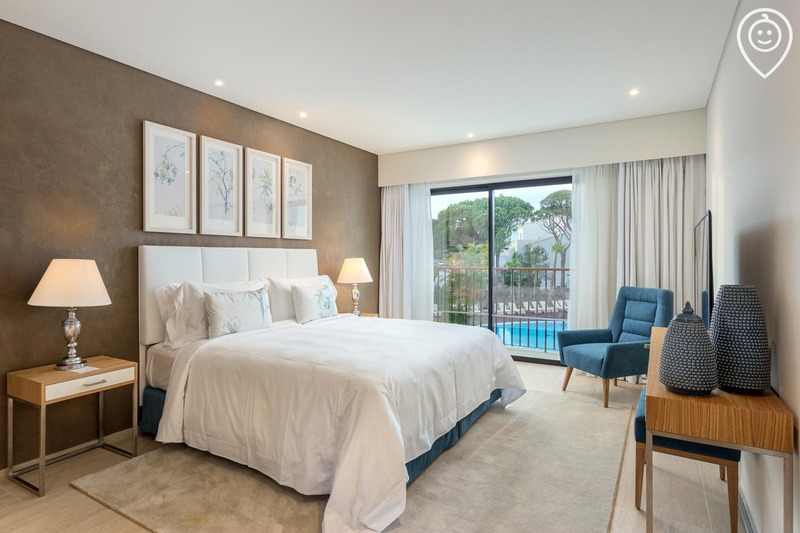 The Ocean Suites at Pine Cliffs provide truly 5* accommodation - they are newly built so lovely and modern and very well equipped. 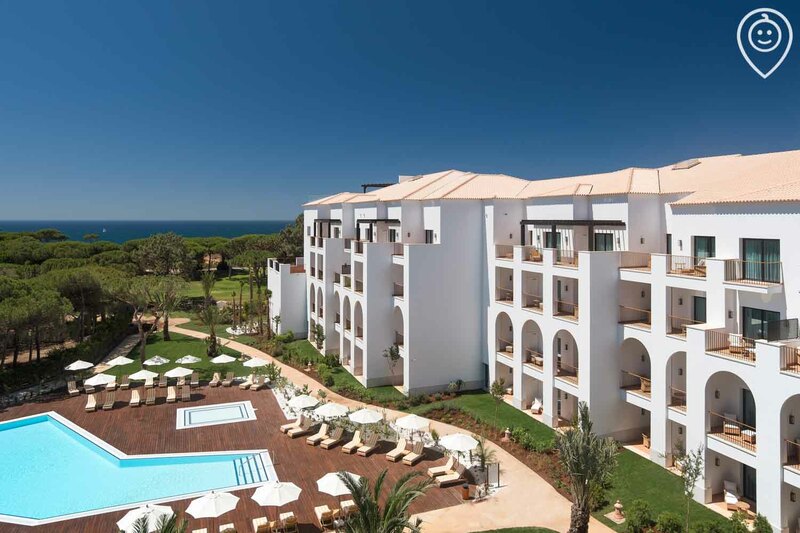 The resort has a great range of activities on offer (spa, golf, tennis, gym) as well as several outdoor swimming pools (just a shame none of them are heated!). The kids club is also a great bonus and covers a huge area. We had a formidable family vacation, 5 adults and 1 kid. Everything was nearly perfect, even the weather :-). We had ONE minor problem, and it was solved in a minute. 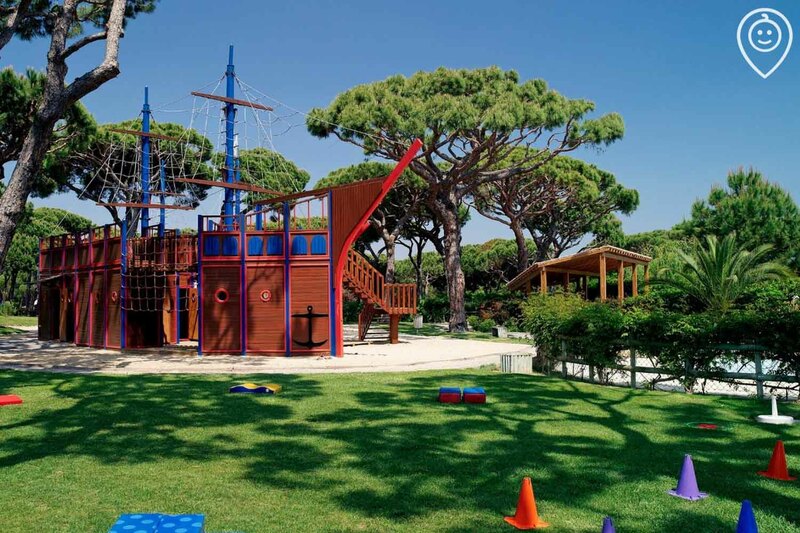 Kids will be utterly in their element at Pine Cliffs Resort, thanks to the huge children’s village with its playground, activities, bouncy castle, toddler pools and even two huge pirate ships to play on. 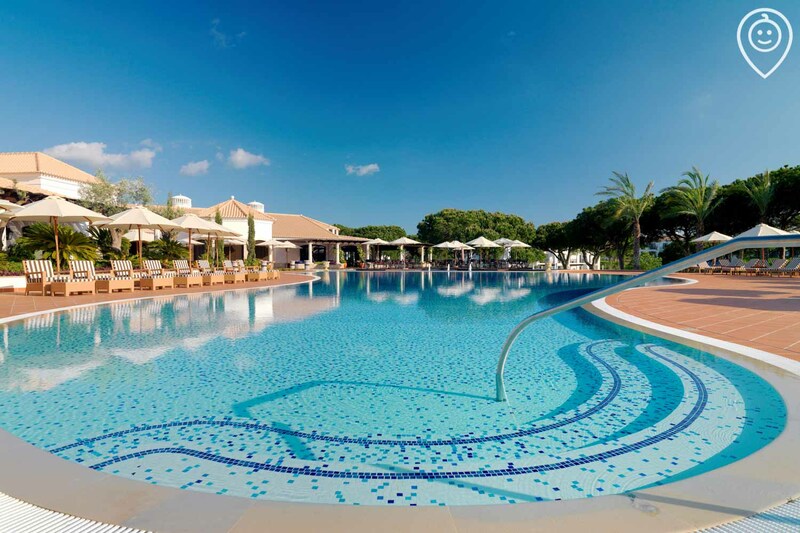 Add to that the many resort pools and the superb kids' club, and its family fun all round! Ahoy me hearties! Here you’ll find 7000 square metres of child-friendly fun including a playground, toddler pool, bouncy castle, spectacular pirate ships and more. Pine Cliffs Resort offers a whopping seven pools to make a splash in, plus four toddler pools that are ideal for tiny tots. 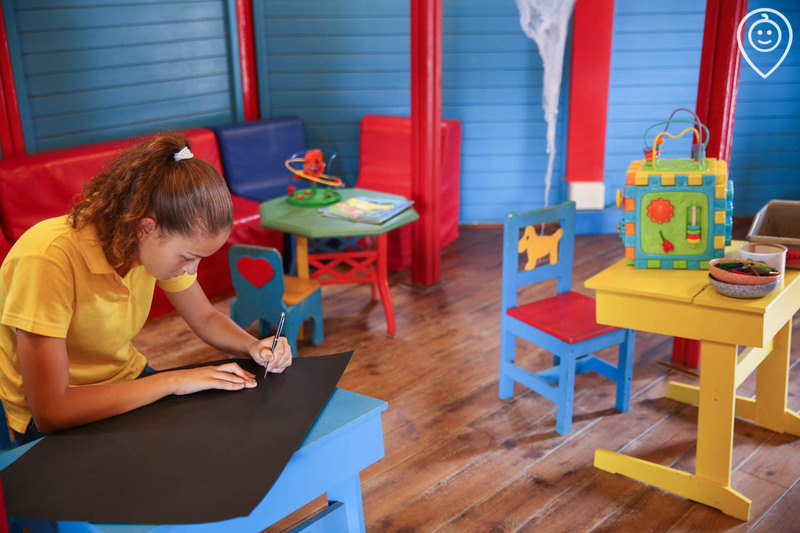 The kids’ clubs offer age appropriate activities, superb facilities and excellent entertainment for children aged 6 months - 13 years old. Runs seasonally. 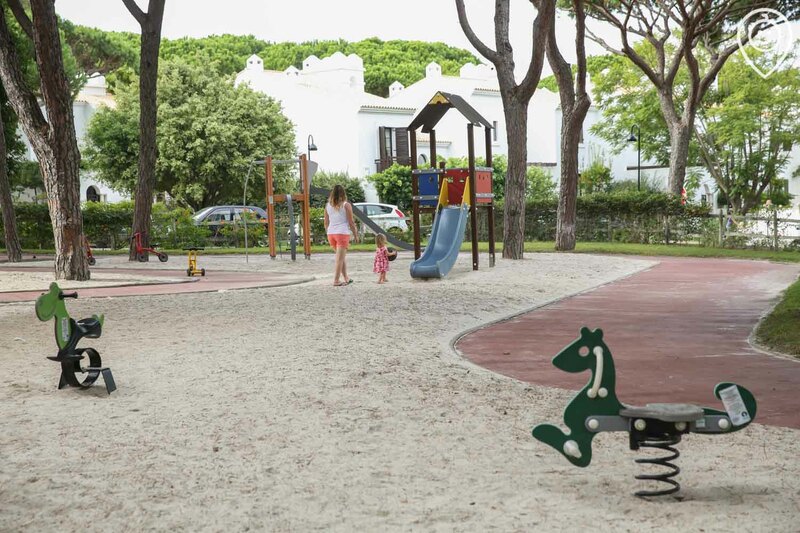 Take some time out for yourself and leave your little one in the capable hands of an English-speaking resort babysitter, prices start from €13 an hour. You’ll be spoilt for choice when dining at Pine Cliffs Resort, which has eight restaurants plus a choice of bars on-site. Ranging from poolside snacks to gourmet cuisine, soft drinks to Champagne, there is also a variety of excellent children's menus available throughout the resort, so that everyone can find something to enjoy. Subject to seasonal opening. Enjoy a relaxed and welcoming atmosphere, and delicious authentic Mediterranean cuisine. Treat yourself to a glass of bubbly at this blissful cliff-top bar, with remarkable views of the ocean and Portuguese coastline. Pop in for light bites and refreshing beverages throughout the day and enjoy the lovely poolside courtyard location. Choose ZEST for healthy fresh homemade juices and snacks, served in stunning surroundings. ZEST has been designed to benefit ‘Mind, Body and Soul’. 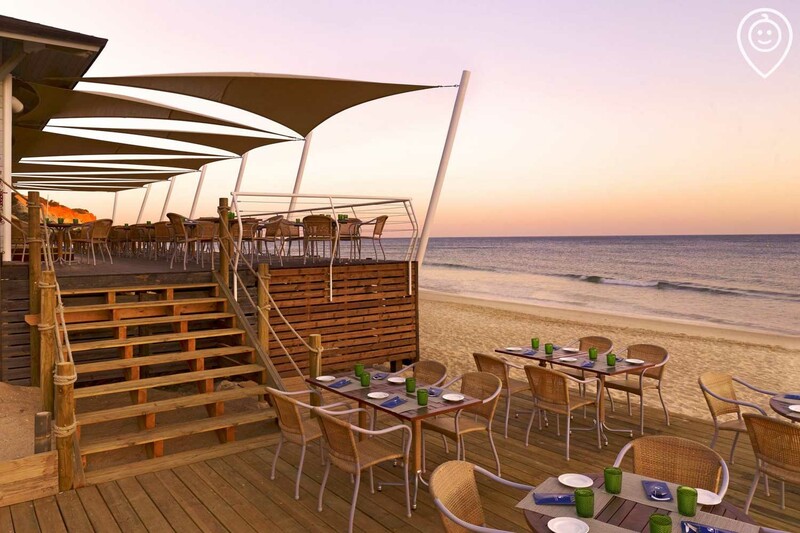 Take in stunning ocean views as you tuck in to a variety of fresh dishes or a cool ice cream. You’ll find something for everyone here, with a mix of regional and international cuisine served up buffet-style in the resort’s main restaurant, with stunning outdoor courtyard. Elegant yet laidback, head to this fantastic seafood restaurant that serves delicious fresh daily specials. 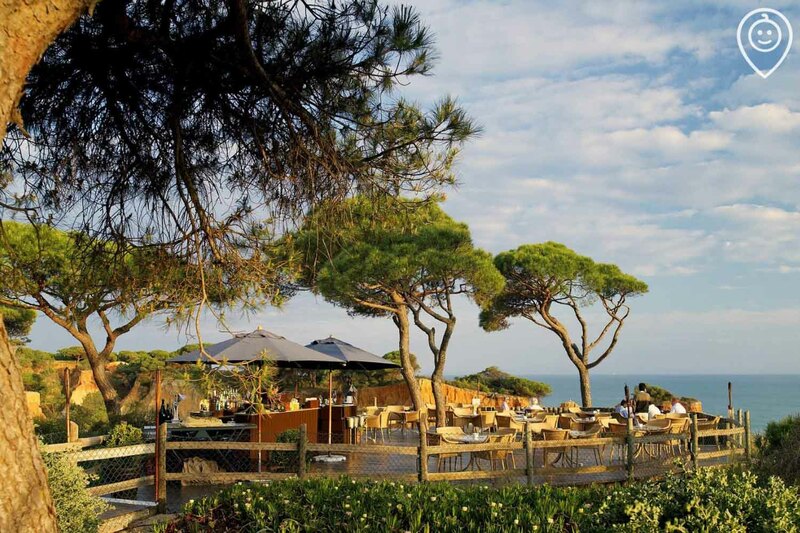 For prime cuts of meat grilled to perfection, this unmissable steakhouse is unique to the Algarve region and offers meat dishes in a variety of international styles. One of the best Japanese restaurants in the Algarve, based in a beautiful outdoor garden setting. 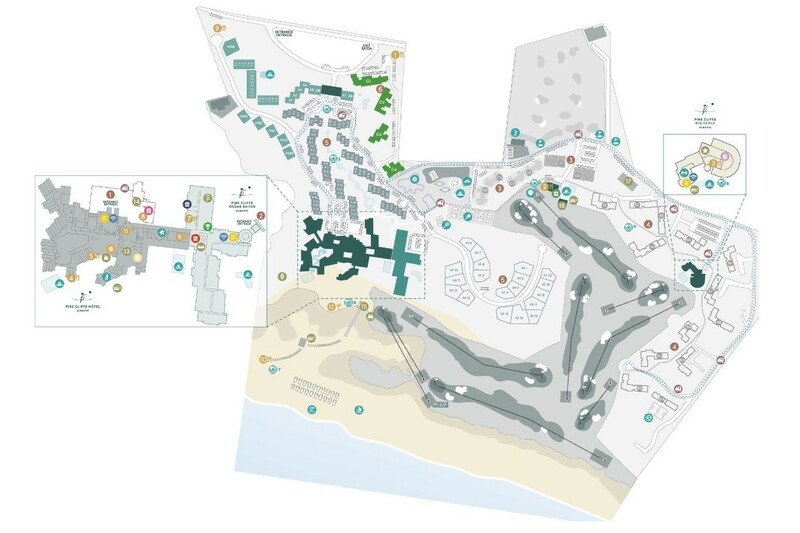 There’s a range of fantastic activities here, including sports facilities adrenaline fuelled watersports, a heated indoor pool, gym and exercise classes for the more active guest, a lavish spa for the ultimate in luxury relaxation and an incredible soft sandy resort beach. 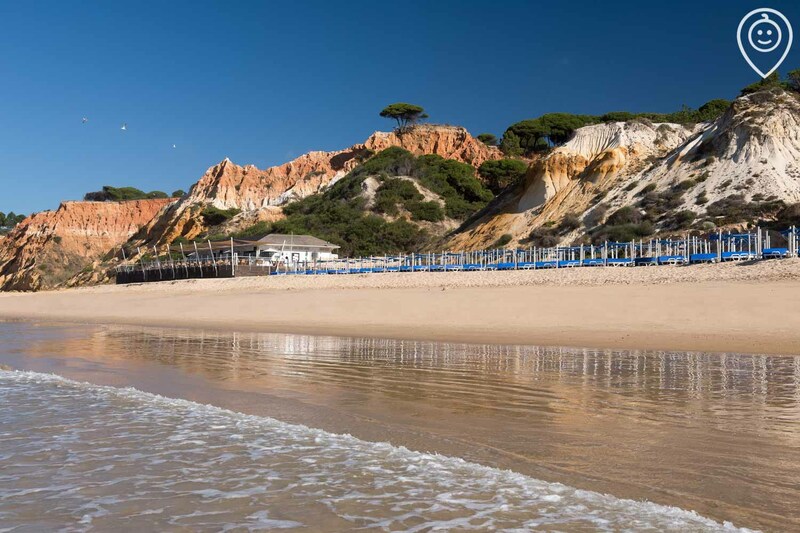 Head to the incredible sandy beach which has sun shades, loungers and towels - spend the day building sandcastles or enjoying some fun-packed watersports. 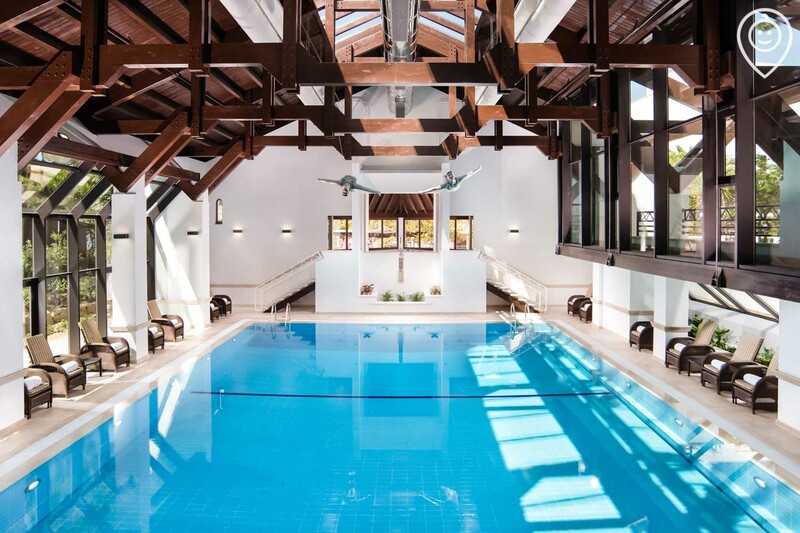 For a break from the sun, head to the fantastic heated indoor pool. Under 14s will need to be accompanied by and adult here. The award winning spa offers the ultimate in luxury treatments, including a range of special junior treatments. Facilities include a Thermal Oasis and Hydro Pool. The resort’s Annabel Croft Tennis Academy has five floodlit courts and caters for all levels of ability. Open to over 16s, includes a huge gym with all the latest equipment and a selection of exercise classes. Set 200 feet above the golden sands and turquoise waters of the beach below, the immaculate 9-hole golf course is considered to be one of the best in the country. There’s also a resort Golf Academy. For luxuriously spacious and family friendly accommodation, look no further. 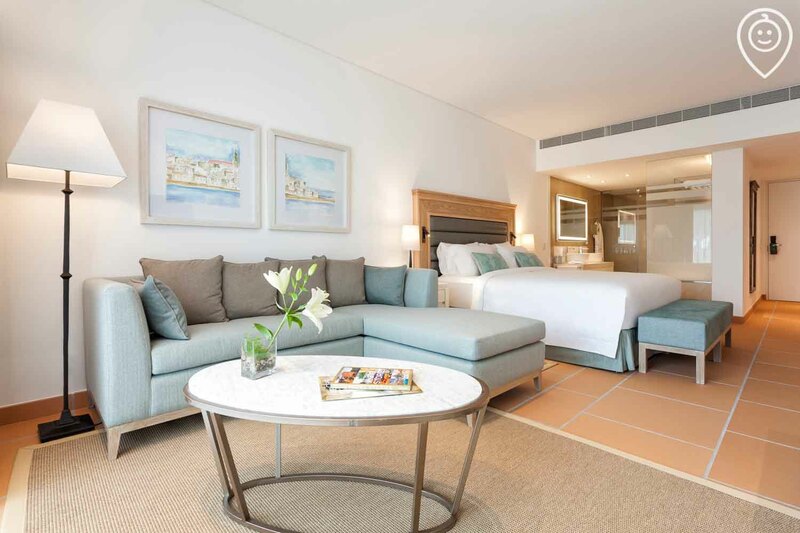 With large balconies, stunning views and the highest quality of facilities and features, our selection of rooms at Pine Cliffs Resort have all been selected by us due to their ultra-family friendly status, and have been equipped with our unique child friendly Essential Kit. Pine Cliffs Resort is in easy reach of several fabulous attractions, with a shuttle bus running to nearby sandy beaches and waterparks. You can also enjoy exploring local historical towns, villages and other close-by family attractions.